We are delighted to have many satisfied customers from all over the world. Here is just a small selection of the feedback we have received and if you would like to leave feedback about any of our products or services please click here to submit your comment. "I just wanted to say how thrilled i was with my order. I bought two engraved pendants and a chain to put them on. The quality is superb and the engraving spot on. Thank you so much." "Outstanding quality products, fast shipping, securely packaged and on top of that: excellent customer service! " "I highly recommend The Curious Gem. It stocks a great range of quality items and the staff are super helpful. Orders are processed very efficiently and everything comes clearly labelled, making it so easy to keep tabs on what I have and what I need to reorder. I'm happy to be a repeat customer and buy with confidence each time. " "I found The Curious Gem through an internet search and I am so genuinely pleased I did. The products are perfect and there is a vast and wonderful choice. There is nothing better than a personal recommendation about a company, so do take mine, I only wish someone had pointed me in their direction sooner "
"Many thanks, Super fast Delivery, Genuine item! Will purchase many more items in the future!! " "Always very happy with my order: fast shipping, arrived in perfect condition and just as described. Gorgeous beads and outstanding quality overall!" "I do not always leave feedback, but wanted to tell you how happy I am with the strands of Chrysophrase and Amazonite I received yesterday. The beauty of the colours, glow and sparkle exceeded all my expectations. For the time being I will just look at them! " "WOW! What service! My first order arrived the very next day...truly impressive service and the items were perfect and packaged really well. I am now a long term customer! Thank you so much"
" Turquoise beads arrived today, absolutely perfect! Many thanks for the first class service. " "This shop has so many beautiful and high quality items, and on top of that you get excellent customer service - thanks Victoria!" "Faultless. Beautiful stones and currently in love with your druzy charms. I absolutely love your company and cannot thank you enough for the help and advice that I have been given." "Thank you very much for such seamless service and beautiful items. I'll be back for more. " "Thank you so much for the Smooth Rubellite rondelle strand which arrived quickly. They are simply stunning! Gorgeous rich pink colour, perfectly matched, and love the smooth cut which I have not found easy to source. A joy to work with beads of such high quality! " "I want to thank you for the Mandarin Garnet beads that arrived yesterday; very lovely colour and clarity. I could not be more pleased. They arrived the day after ordering. Thank you. You have a great selection and I have never been disappointed." "Just received my order and wanted to thank you. Outstanding service. Excellent packing. Clearly a perfect source for findings and superior quality beads. " "Thanks very much. Lovely stones ( Garnets ) Quick dispatch and delivery. Very good comms. Knowledgeable seller. Definitely recommend"
"Ten out of ten every time for the Curious Gem! Such a professional and top quality shopping experience from start to finish!! " "Many thanks for your extremely efficient and prompt service, especially at this time of year. The items arrived today and the stone is a perfect match for the one of three that was lost from one of my wife's favourite rings." "Can I just say how fantastic I think your company is the ordering, payment and delivery is very good. Thank you for the stunning items I've received so far and will be using you for the future"
"Just a quick note to say I am so delighted I found you! Received my 1st order yesterday and I couldn't be more pleased with the beautiful findings. Looking forward to ordering more soon"
"Parcel arrived today and everything is lovely. I can't stop looking at the Citrine drops, they are fantastic, possibly the best stones I have ever bought for my jewellery making. Thanks for the speedy delivery too!" "I have ordered twice so far from your shop, and each time have been very happy with my purchase. From the findings to pearls and gemstones, everything was well packaged and of an extremely high quality. I ordered two strands of pearls in my most recent order and I am just blown away by how beautiful they are. Thank you so much for this wonderful service!" "Just to say how delighted I am with the order that has arrived this morning. The freshwater pearls are as described on your website and lovely quality. 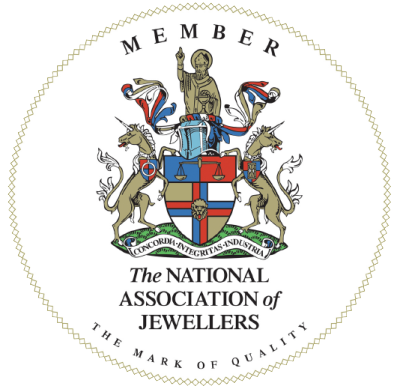 I will be using you again and recommend you, especially to my daughter who is a Jeweller." "Just had to email and say my Tanzanite came this morning - it is stunning thank you! it was my 1st order with you and I always worry when shopping somewhere new online - lovely quick service and well packaged I promise I will be back very soon! " "I have just received my order and I am so pleased with the beautiful gems I bought. Especially the AA+ Labradorite Smooth Teardrop Briolettes, I have been searching for so long to find some that are really good quality and I finally have! Thank you very much, I will be returning to buy more!" "I just wanted to say a huge thank you for my recent order, I'm thrilled with the quality and service, I recently decided to take my jewellery making up a notch using gemstones, I have confidence and trust in your company when purchasing special stones, and I will be back for more, thank you again! "I have just received my order and I am thrilled with the faceted Tanzanite rondelles. They are a beautiful colour and have a lovely sparkle. Thank you." "Thank you for my order which arrived today. Every purchase I have made from this shop has always included excellent service, amazing fast shipping, and high quality gems. Mahalo!" "Many thanks - lovely pearls; fast service; good packaging". "Outstanding service every single time. Beautiful products, immaculately packaged." "Great sterling silver findings! I am so happy with your prices, express shipping and quality :) "
"Thank you, your service is wonderful and quick, your gemstones are absolutely amazing! I love them! I'm your new customer :)"
"As always, quality gemstones with no surprises. My #1 choice, by far." "I just wanted to say I am delighted with the big Labradorite beads. Definitely the best quality beads I have seen." "Thank you for my order which arrived so quickly. As usual, I was very pleased with the quality of the gemstones. I always buy "with confidence!" "One of the best precious stone and wire suppliers in the business today! A joy to buy from and one I hope to continue." "I received my order this morning for the gorgeous gems and bits and pieces.Thank you so much for making such affordable postage with such great choices and quality of products. I'm really looking forward to getting stuck into making my wedding and bridesmaids jewelry and will definitely use The Curious Gem again!" "I would very much like to thank you for the excellent service you provide. When you also add exquisite gemstones it really is something to be proud of." "My order arrived today, and I want to thank you for such lovely, top quality gemstones, fast shipping, and excellent communication." "I have just received my order of Labradorite, and I have to say it is breathtaking. I have never seen such exquisite gemstones made available and accessible with your reasonable prices before. Thank you ever so much!" "Thank you so much - not only for the speed of delivery but also for the stunning beauty of the stones. I adore the Ametrine nuggets: such subtle colour variation." "I have purchased a wide variety of beads from you and I would just like to say, your service is excellent, the beads live up to their descriptions and it is always a pleasure to create designs with the wide variety of cuts, shapes and stones you have on offer. The quality and continuity make the little packages a thrill to open when the postman does his delivery. Thank you." "The pearls are wonderful ... I am especially pleased with the large size and high lustre on the coloured pearls." "You guys have the best beads of any supplier I have ever used. I have complete confidence in your products. Thank you!" "I just wanted to say a big thank you, I received my order yesterday and I am thrilled to bits - the lapis is absolutely stunning, the facets really make them sparkle." "Another superb order - rose quartz rondelles are so delicate and feminine, just exquisite! Thank you!" "The gems just arrived and they are amazingly beautiful. I love the pink tourmaline's and the rhodochrosite are perfect !!!" "Just to say thank you and that I am very pleased with my order - the best quality I've ever seen. This lot will keep me busy for some time. I particularly love the lemon quartz." "Thanks for delivering my order so quickly! The quality of the gemstones is stunning - easily as beautiful as photographed (which is a 'first', in my experience). I am really looking forward to ordering from you again." "I could not be more pleased! They are truly beautiful, and photos cannot do them justice." "Just a quick note to say, firstly, thank you for such a prompt service.... Secondly, I am really pleased with the quartz...it is very pretty. I am always nervous about buying stones on the net, as it is always better to see them "in the flesh"...but I will happily buy from you again...indeed I can't wait to place my next order!! I will also be very pleased to recommend you to jewellery/beading friends!!" "I absolutely love the AAA madeira citrine I got from you last week, it is exquisite." "Your gorgeous beads have arrived today, you certainly do pay attention to clarity and colour - the peridot is absolutely stunning." "Just wanted to say thank you so much for the amazing Imperial topaz briolettes! They're so lovely, the colour is great and I can't wait to use them"